Allan Barclay (MLIS, AHIP) is a librarian and web developer with an interest in games and simulation as they apply to healthcare – particularly taxonomy and resource discovery issues. He developed and maintains the Games and Simulation in Healthcare portal with Eric Bauman, Aurel Mihai and several student workers. He also does web work on a variety of professional and non-profit sites. Clinical Playground is his first official moonlighting gig (well, unpaid – perhaps Flaming Giraffe Studios will finally start working for cash). He has worked at University of Wisconsin-Madison, Indiana University-Purdue University Indianapolis and Northwestern University in a variety of library and technology roles. He is an alumnus of Wright State University (psychology & Team 106.9 WWSU) and Dominican University (formerly Rosary College – library science), and hails from University City, MO. He misses his Atari 2600. Ko PY, Scott JM, Mihai A, Grant WD. Comparison of a Modified Longitudinal Simulation-Based Advanced Cardiovascular Life Support to a Traditional Advanced Cardiovascular Life Support Curriculum in Third-Year Medical Students. Teaching and Learning in Medicine. 2011;23(4):324-330. doi:10.1080/10401334.2011.611763. Mackey J, Dagostino J, Cherry R, Mihai A, Grant W, Miner B. Pediatric Resuscitation Mock Code Practice Impacts Selected Skills. Academic Emergency Medicine. 2008;15. doi:10.1111/j.1553-2712.2008.00130_1.x. Dr. Greg Gilbert is biostatistician with vast experience in both traditional academic and private sectors. 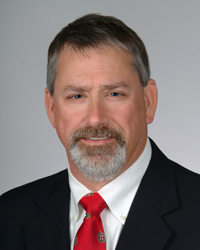 Dr. Gilbert holds multiple academic appointments and serves as Lead Statistician for Clinical Playground LLC. His collaborative work has provided statistical support to some of the best minds in the country with respect to game-based learning. Dr. Gilbert has worked on various large scale projects, including the successful implementation of original game-based learning applications at professional schools, producing evidence-based outcomes. 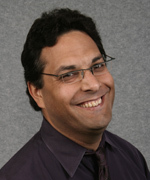 As a biostatistician supporting industry leading research, Dr. Gilbert provides expertise in research design, study implementation, statistical analysis, as well as manuscript preparation and submission across a broad variety of fields including game-based learning, simulation, and educational research. He has a long history of successful collaboration with numerous interdisciplinary research teams to investigate knowledge gains related to game-based learning and simulation instruction. Dr. Gilbert’s expertise in study design, data management, longitudinal data analysis, and implementation of reproducible research is often sought after and he brings demonstrated value to the many collaborative projects that he engages in. Leighton, K., Foisy-Doll, C., & Gilbert, G.E. (In press). Development and psychometric evaluation of the Simulation Culture Organizational Readiness Survey (SCORS). Nurse Educator. French, H.M., Dascanio, J.D., Peterson, E.W., Gilbert, G.E., Wright C.C., Wickman D.D., & Bauman E.B. (In Press) Development and student evaluation of an anatomically correct high-fidelity calf leg model. Journal of Veterinary Medical Education. doi:10.3138/jvme.0916-143r1. Prion, S.K., Gilbert, G.E., Adamson, K.A., Quint, S., & Kardong-Edgren, S. (2017). Development and testing of the Quint Leveled Clinical Competency Tool. Clinical Simulation in Nursing, 13(3), 106–115. doi:http://dx.doi.org/10.1016/j.ecns.2016.10.008. Prion, S.K., Gilbert, G.E., & Adamson, K.A. (2016). Generalizability theory: An introduction with application to simulation evaluation. Clinical Simulation in Nursing, 12(12), 546–554. doi:10.1016/j.ecns.2016.08.006. url:http://dx.doi.org/10.1016/j.ecns.2016.08.006. Bauman, E.B., Hutchison, C., Adams, R.A., Fuentealba, C., Pederson, D., Gilbert, G.E., Pelletier, B., Vaughan, G., & Squire, K. (2015). Interactive life sized 3D digital modeling and simulation: A case study in anatomy and physiology education. In Caldwell, K.E.H., Seyler, S., Ochsner, A., & Steinkuehler, C.(Eds. ), proceedings from GLS 11: Games+Learning+Society Conference, 449–451. issn:2164-6651. Madison, WI: ETC Press. Cason, M.L., Gilbert, G.E., Schmoll, H.H., Dolinar, S.M., Anderson, J., Nickles, B.M., Pufpaff, L.A., Henderson, R., Lee, F.W., & Schaefer, III J.J. (2015). Cooperative learning using simulation to achieve mastery of nasogastric tube insertion. Journal of Nursing Education, 54(3), S47–S51. doi:10.3928/01484834- 20150218- 09. url:http://www.ncbi.nlm.nih.gov/pubmed/25692824. Hall, M., Sheakley, M., Callender, D., Pederson, D., Gilbert, G.E., & Leighton, K. (2015). Enhancing knowledge retention of cardiovascular physiology using simulation. Medical Science Educator, 1–6. doi: 10.1007/s40670-015-0216-5. url:http://dx.doi.org/10.1007/s40670-015-0216-5. He worked collaboratively and led multi-disciplinary teams of talented professionals, experienced in clinical education, game-based learning, and VR who have created award-winning games and simulations like Airway Lab, and Saving Lives! You can find more detailed information about Dr. Bauman or contact him via LinkedIn. Karen Boggio, RN was a Simulation Specialist for several years and managed the Waukesha County Technical College Human Patient Simulation (HPS) Lab, a model for many simulation laboratories throughout the midwest. She was responsible for the operational and technical aspects of running a simulation lab. She has many years of simulation experience and provided presentations and workshops regarding integration and implementation of simulation into healthcare education. Ms. Boggio consulted on numerous projects, assisting institutions in the design and development of simulation and nursing skills labs. In addition, Ms. Boggio taught various health related courses where she integrated game-based learning and simulation into course curriculum. She has vast experience in the field of continuing education in nursing and currently coordinates continuing education offerings for the WCTC School of Health. 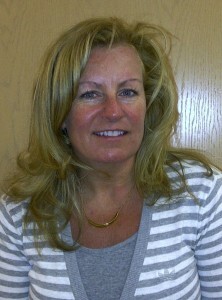 Karen values the strong relationship between game-based learning and simulation and education in the health sciences. Boggio, K., Brady, J., & Harbeck, S. (2012). Collaborative Simulation Experience Between EMS & Nursing Programs. Workshop presented at the CAE HPSN Conference, Tampa, FL. Cook, A. M., & Boggio, K. (2012, April) Clinical Simulation at WCTC: A Collaborative Experience. Nursing Matters. Boggio, K. (2011, November) Bringing Simulation to Life, How to Make it Happen. Presented at Wisconsin SimDay 2011, Fox Valley Technical College, Appleton, WI. Ms. Marty Gustafson is the Program Director for the University of Wisconsin’s online Master of Engineering in Sustainable Systems Engineering (SSE) degree. In 2012, the UW’s online Master of Engineering programs were ranked #1 in Student Services, Technology, Engagement and Accreditation by U.S. News & World Report, demonstrating how online learning is fast becoming an integral part of higher education. Prior to joining the University of Wisconsin, Ms. Gustafson managed the 3D Interactive Systems and Services Business Unit of Orbital Technologies Corporation, which focused on using 3D simulation for complex training in the military and aerospace industry. She also managed ORBITEC’s commercial product sales, and successfully launched a number of software products and educational tools for research and STEM curricula. 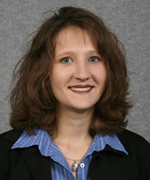 Ms. Gustafson is also a lecturer for the Technical Communications Department at the University of Wisconsin College of Engineering, and serves as the 2010-12 Chair of the Advisory Committee of the Wisconsin Space Grant Consortium. Ms. Gustafson holds an M.S. in Engineering Management and Marketing from the Milwaukee School of Engineering and a B.S. in Engineering Mechanics from the University of Wisconsin-Madison. 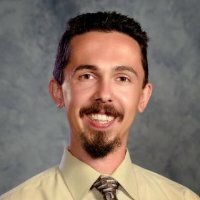 Abe Megahed has over 20 years of experience in computer graphics and simulation technology with an emphasis on web based simulation, real-time computer graphics, ray tracing, programming language design, and compiler/interpreter implementation. 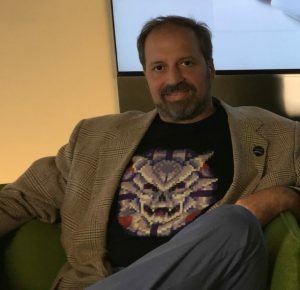 He has designed simulations for NASA, the US Army, Navy, and Air Force, as well as the New York Times, the Kansas City Cosmodrome, the National Science Center, and Cisco Systems. Megahed holds three patents and has published Siggraph papers and technical sketches in the field of simulation and modeling. In addition, Megahed is an entrepreneur who has started two simulation and modeling companies. He is featured in the “OpenGL Red Book”, the Bible of real-time computer graphics and is proud to be listed in the index right before “Microsoft”. He is currently a technical manager at EarthIT where he works on web based and mobile information systems for health care. Mr. Megahed was formerly Chief Technical Officer for ORBITEC’s Hypercosm™ 3D Interactive Systems and Services Division, where he focused on simulations for aerospace training. As ORBITEC’s Chief Technical Officer, he served as Principal Investigator for many projects, including ongoing work for the US Air Force building online games for proactive preventive medicine. Hypercosm™ built many training systems for NASA spaceflight hardware, including the COLBERT treadmill, the SPDM robotic arm, and many science payloads including the Biomass Production System. Hypercosm’s COLBERT training system was uploaded to and used by astronauts in space for use on the International Space Station. Mr. Megahed was Chairman and CEO of Hypercosm Inc., a leader in instructional 3D graphics technology for the Internet in the late 1990s and employed up to 30 people. After its purchase by ORBITEC and PLANET LLC (ORBITEC’s sister company, reintegrated in 2009) in 2003, Mr. Megahed responsibilities included leading all new feature development work on the Hypercosm software system, including the current developments of the Hypercosm Player for Macintosh and Hypercosm Player for iPhone. Crabb, T., Megahed A., and Gustafson, M. (2008). 3D Simulation Platform for Improved Operations and Training. Presented at the AIAA Space 2008 Conference, San Diego, CA,Megahed, A. and Gustafson, M. (2010). “Just-in-Time 3D Assembly Simulation for the New ISS Treadmill.” Presented at the AIAA Space Operations Conference, Huntsville, AL. Megahed, A., Gustafson, M., Crabb T., and Lee. M. (2004). “Collaborative 3D Training: From Astronauts to Automotive Techs.” SAE International 2004-01-2593. Presented at the 2004 ICES Conference. Megahed, A. (2003). The Use of Interactive 3D Simulation in Crew Training and Spaceflight Operations. Presented at the IMAGE 2003 Conference, Scottsdale, Arizona 14-18 July 2003. Megahed, A. (2002). The Use of Interactive 3D Simulation in Crew Training and Spaceflight Operations. SAE Technical Paper Series 2002-01-2499. 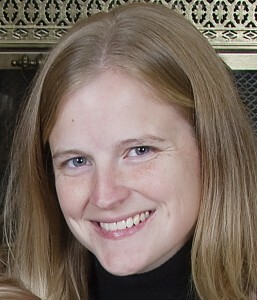 Katie White, MD was introduced to and developed a keen interest in simulation and game-based learning as Chief Internal Medicine Resident at the University of Wisconsin Hospitals and Clinics while working on a resident education project with Clinical Playground, LLC founding and managing member, Eric B. Bauman, PhD. After completing residency she worked as a general internist at the William S. Middleton Memorial VA Hospital in Madison, WI and then the Birmingham, Alabama VA Medical Center. Dr. White is currently clinical assistant professor in the general internal medicine section at the University of Iowa where she is involved with resident and undergraduate medical education. Dr. White also works with the simulation team at the Iowa City VA Medical Center and is pursuing a Masters in Medical Education. She was born and raised in Iowa City, IA. She graduated with a BA in history from the University of Notre Dame and completed medical school at the Indiana University School of Medicine, where she was elected to Alpha Omega Alpha honor society as a junior. While a relative newcomer to the world of serious games she has come to appreciate and understand the potential that simulation and game-based learning will play in medical and health sciences education. Dr. White is a member of the Society for Simulation in Healthcare where she recently served as co-chair of the Website Committee and actively collaborates with the Serious Games and Virtual Environment Special Interest Group. Dr. White has always been a gamer at heart and continues to rock new levels and releases of Angry Birds in attempts to build her “Game-Cred”. Katie is married to Matt, an orthopedic surgeon, they have three young children. White, K., Bauman, E., Roach, M., Holland, R., O’Connell, K., Vogelman, B., and Smith, A. (2010). Resident performance: Leadership comfort levels – a pilot study. [peer reviewed scientific poster abstract] Simulation in Healthcare. 5(6), 418.